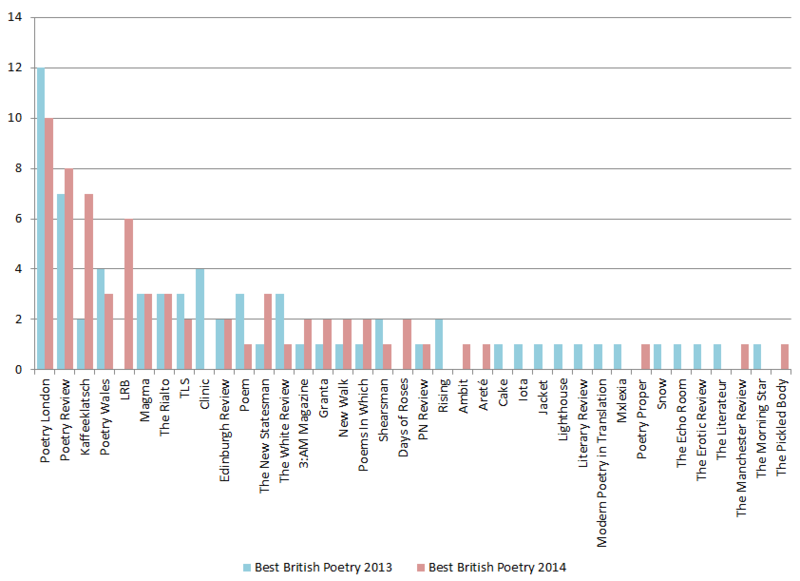 Once again, Poetry London has provided the most poems for the anthology, followed by “The” Poetry Review. 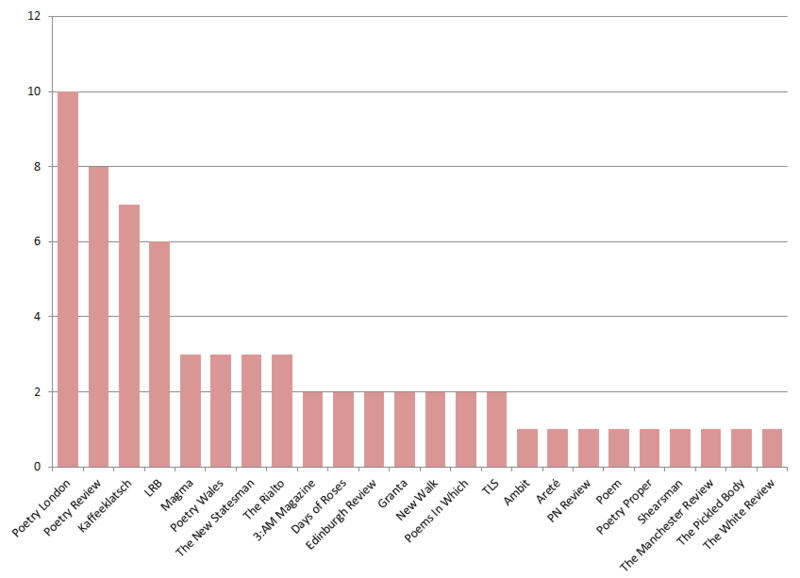 Kaffeeklatsch and the LRB have seen the biggest increases. 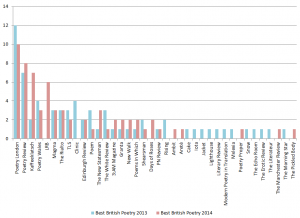 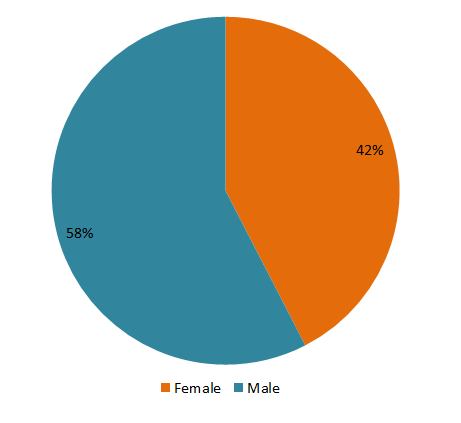 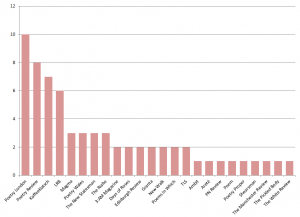 The balance of female to male poets (best as I can tell) is almost identical to last year.